A new app makes life easier for the blind, by connecting them with sighted helpers through a smartphone app. This allows the blind to handle big and small tasks, while sighted get the joy of helping someone else in a easy and informal way. 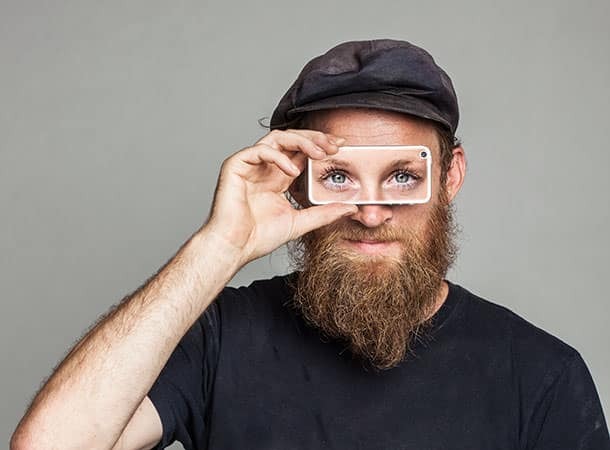 The app is called Be My Eyes and could revolutionize everyday life for the blind. It only takes a minute to choose the right tin can from the shelf, look at the expiration date on the milk or find the right thing to eat in the fridge if you have full vision that is. For visual impaired individuals smaller tasks in their home can often become bigger challenges. The new app is called “Be My Eyes” and hopes to change that! Through a direct video call the app gives blind people the opportunity to ask a sighted volunteer for help, for tasks that requires normal vision. The blind person “lends” the helper’s eyes all through his or her smartphone. The sighted helper is able to see and describe what the blind person is showing the sighted helper by filming with the video camera in the smartphone. That way, by working together they are able to solve the problem that the blind person is facing. A test version of the app has been well received by the blind community. The idea behind Be My Eyes originates from the Danish 50 year old furniture craftsman Hans. Jørgen Wiberg, who started losing his vision when he was 25. 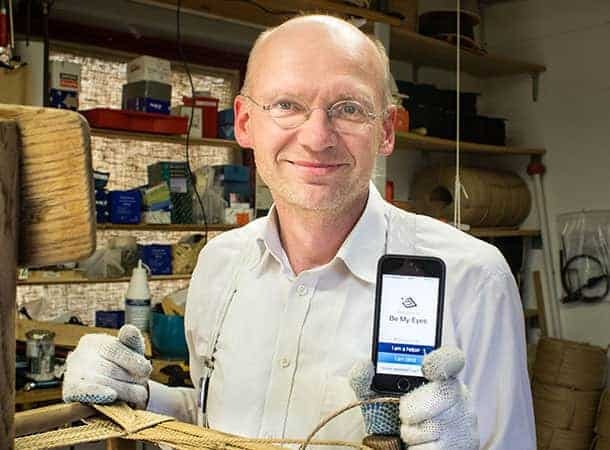 His wish is that the app will make both the everyday life of blind people easier and new flexible opportunity to volunteer: “It is flexible, takes only a few minutes to help and the app is therefore a good opportunity for the busy, modern individual with the energy to help others.” Says inventor Hans Jørgen Wiberg. The Be My Eyes app is free and available in the AppStore, an android version will be available soon.